When it comes to the serious part of being a writer, the day and day out churning out new pages, most of what I do is done, here at the desk, with the computer monitor set at eye level and the keyboard on it’s ergonomic tray. But I also made a decision that I should be able to write anywhere and I take a notebook with me where ever I go, because you never know where inspiration will hit. So, I thought I’d write about some of the places where I find myself scribbling away. If some of you have read earlier posts, you’ll know that I have a wonderful, supportive Hubster. He also happens to be a member of the Pacific Club. It is one of the oldest social clubs on the islands, and has a storied past of being elitist, racist and they did not allow women to be members until 1984. A bastion of boy- power for many years. But, before it became “The British Club” and later the Pacific Club, the site where the club sits belonged to the Cleghorn Family. Archibald Scott Cleghorn was married to Princess Miriam Likelike, sister to King David Kalakaua. And they had a daughter, Princess Victoria Ka‘iulani Kawekio I Lunalilo Kalaninuiahilapalapa Cleghorn. Ka’iulani was born at the Cleghorn estate, and a few years later, Cleghorn moved the family to a new estate he bought in Waikiki, named Ainahou. In 1926, the Pacific Club acquired the old Cleghorn estate. If you look closely, at the rock wall, you can see a medallion and a placard that state it was the site where the princess was born. I don’t think this is the best image of her, a bit too stylized for my taste. Then, if you pull more of the ferns away, you can see this maker that explains the medallion. I often work in the library, which has a large collection of hawaiian books. It’ s quiet, with a cool breeze blowing in from the windows. You can’t help but wonder about how many conversations have been held in that room, how many “gentleman’s agreements” were made there, and how they have had an impact on life in Hawaii. For me, the princess has been an inspiration for my current WIP or work-in-progress. 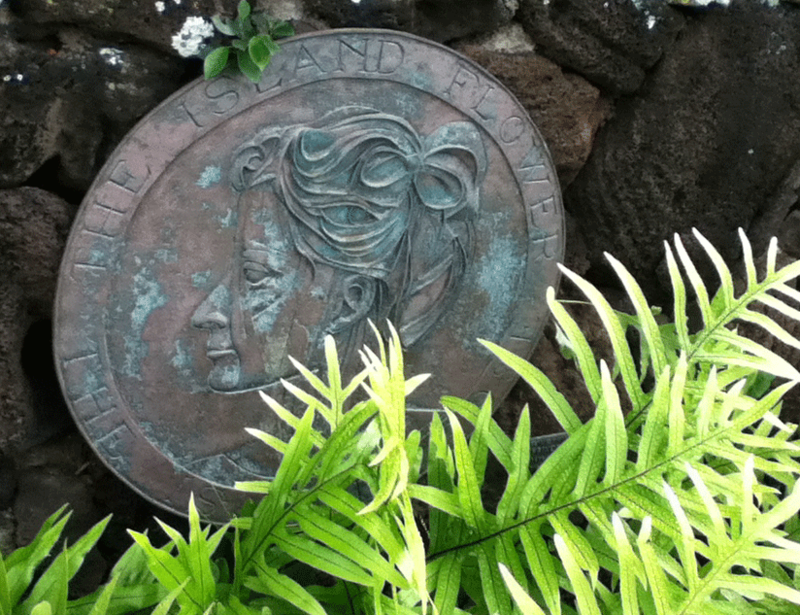 She remains something of a tragic figure in Hawaiian history. Born and raised a member of the royal family, she was educated and trained knowing one day she would be queen and would rule the nation of Hawaii. But all that changed in 1893 Queen Liliuokalani was deposed, the monarchy was overthrown, and Hawaii was annexed by the United States Government. She would never live to be queen. She died at age 23 on March 6, 1899. I don’t want to get all airy-fairy on you, and say that I feel her vibes when I’m writing there, but the title of the blog is Social Alchemy and alchemy is the pre-cursor of magic-making. And isn’t that what all writing is? A little bit of magic on the page? What do you think? Are there special places that capture your imagination and inspire your creativity? Oh, da islands. Such lovely places to write! And, yes, tragic is right. Can’t wait to hear more about your WIP! Thanks Mynster….I’m looking forward to having you as a guest here… stay tuned. Fascinating, Rachel. I love the idea of writing in places that are steeped in history, especially when that history is tied into the plot of your WIP. Right now I’ve been doing most of my writing in my room, but I’m looking forward to venturing outside and finding someplace new. Hi Lena! Wow, it’s been forever. As I mentioned, the real serious stuff, editing, revising, and the sort takes place at my desk, but it is nice to stretch you legs so to speak and find new places to explore. You just never know what will happen while you are there, or what memories or ideas it will conjure up. Ooohhhh, intriguing story. I love that you can feel the vibe of the poor princess when you’re there. How cool is that? I recently finished a story with a Native American theme and major characters and I listened to a lot of Indian flute music while I was writing. It helped me to get into my characters’ heads. I’m sure the surroundings help a lot. And what a lucky girl to have such a beautiful inspirational place to write! I’m jealous. Patricia, I can’t tell you how important music is to my process. I have an entire playlist in my itunes for this book. There are songs that remind me of specific characters, other songs that get me in the mood for certain scenes. I have the list playing in my car when I drive and it always amazes me how much more of the story shows up when I’m listening to those songs. 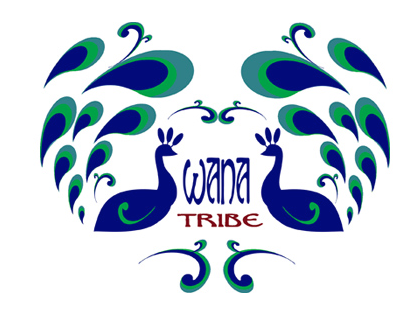 And Native American music, any kind of tribal music carries a lot of emotional weight, at least it does for me. And yes, I am so lucky to have access to the club and all that it has to offer. When you come to Hawaii, I’ll take you to lunch there. Hi Shannon. Ka’iulani is a really intriguing character. The story of her death is very interesting. They said she went out horseback riding one day, got caught in a thunderstorm and died two weeks later of “inflammatory rheumatism.” But the at the time she died, she had several pet peacocks at her home in Ainahau. They said when Ka’iulani died, all of the peacocks shrieked, and they could be heard from miles away. Rachel I love the sound of your library–from the cool breeze to the intriguing background story it sounds like a great place to write! what a wonderful place you live – and so much inspiration all around. Hi Rachel and Hi Louise. I have a series called Writerly Nooks. Mine aren’t as grand (in the exclusive sense) as the Pacific Club, but even the more pedestrian places in Hawaii are often associated with the ali’i, Hawaiian royalty. I often walk to my neighborhood garden which is where Lili’uokalani used to picnic. I like to write by the waterfall there. Aloha – it would indeed be interesting to hear about your WIP. (As a researcher into the life of Ka’iulani for over 40 years I’m always intrigued how her life or the idea of her life influences the creative output of others.) Have contemplated this plaque myself…along with hundreds of other artworks/scultpures attempting to represent the Princess over the years. Ka’iulani’s life is indeed inspiring,..if often treated simplistically as some recent fictionalized takes on it have demonstrated. As for someone thinking Ka’iulani’s name to be unpronounceable – that’s only if one has no acquaintance with ‘Olelo Hawai’i. Welsh, German, Spanish and many other ethnic names may seem “unpronounceable” to those unfamiliar with the cultures/languages they are derived from. She was named in a Hawaiian time and context and her name makes perfect cultural and personal sense. All that being said, Ka’iulani was a profoundly gifted and accomplished young woman who did enough during her short life that she can still inspire us today (and hopefully not just because she was so visually “beautiful”.). Her life had its tragic elements – including of course her death at a young age, but the content of that life deserves re-analysis and reaffirmation as strong, positive and complex. She was a musician, artist and woman of conviction, a traditional Hawaiian waterwoman and quiet champion of her people. She had a hilarious sense of humor, too…and I’m sure she’d like us to remember that.